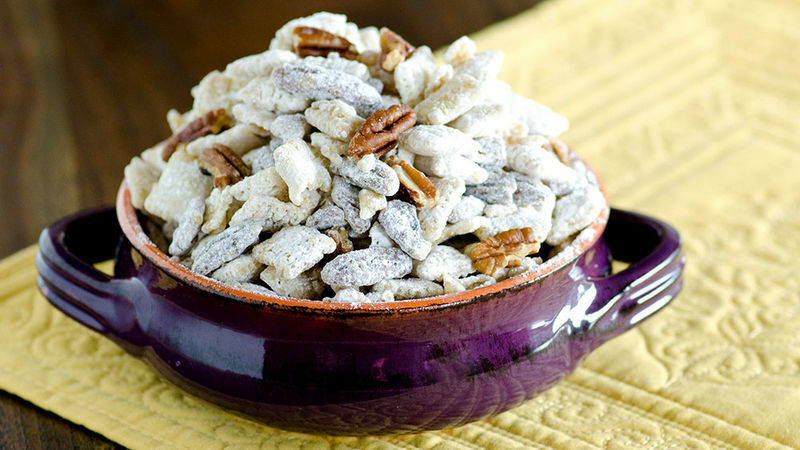 In very large bowl (preferably with lid), toss together cereal and pecans; set aside. In small microwavable bowl, combine butter, corn syrup and a dash of salt. Microwave on High 30 seconds or until butter is melted. Stir to combine. Pour butter mixture over cereal and pecans. With wooden spoon, carefully stir until evenly coated. 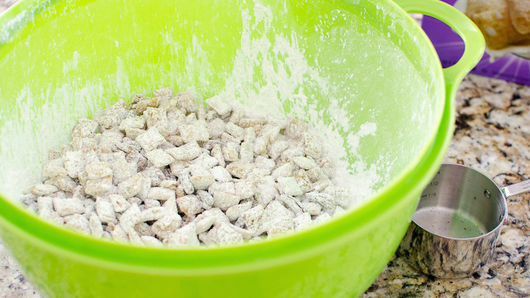 If bowl has lid, sprinkle powdered sugar over cereal mixture. Cover bowl with lid; shake to coat. 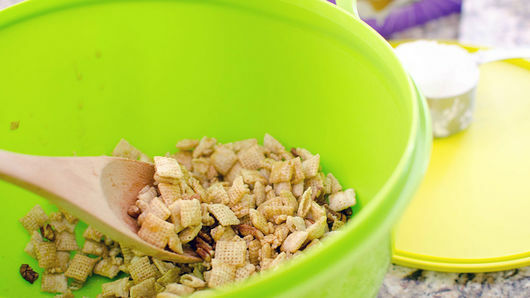 If bowl does not have lid, transfer cereal mixture to large resealable food-storage plastic bag. Add powdered sugar; shake to coat. If desired, transfer mixture to serving dish. Serve immediately. Store in airtight container. Don't have a large bowl with a lid? No problem! Use a resealable plastic bag instead.